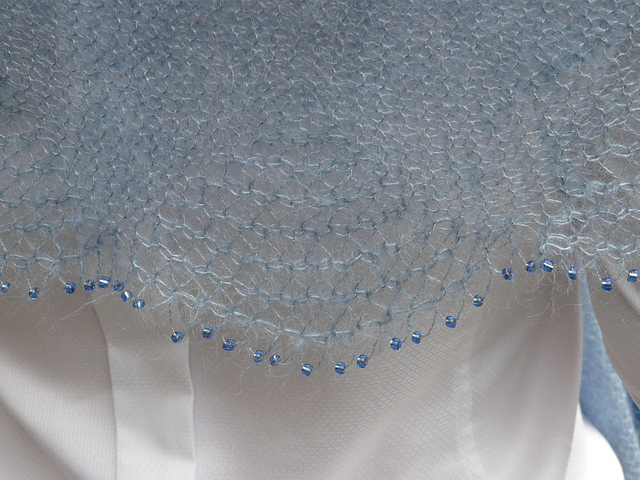 An elegant shawl with a shimmering gossamer effect, delicately edged with a beautiful lace pattern. The design was inspired by Jane Austen’s enchanting romantic novel, “Mansfield Park”. This is a relaxing knit with a simple cast-on, followed by a moderately easy knit that should take approximately 20 hours. 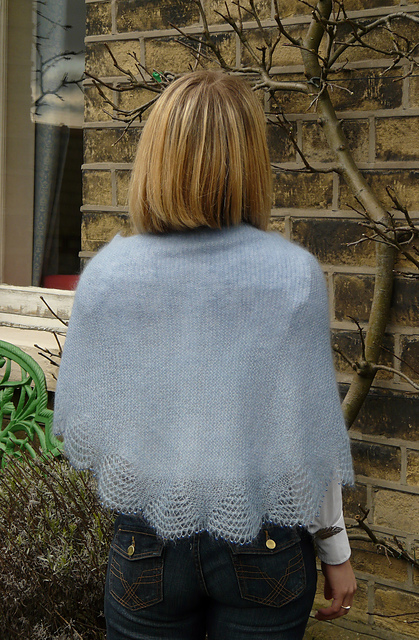 It was designed to be knitted with Rowan ‘Kidsilk Haze’, as pictured here. 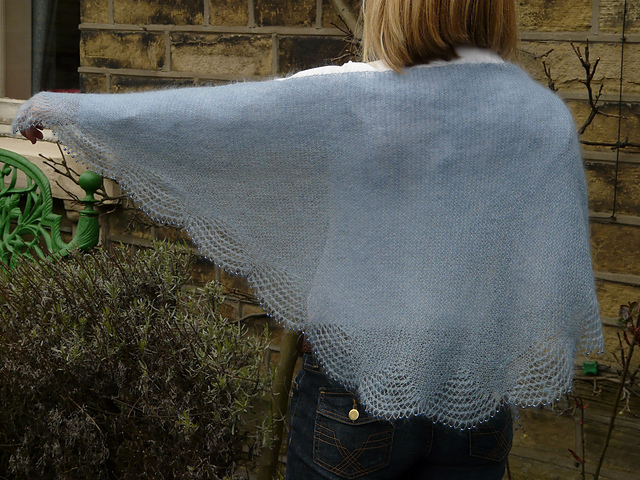 Mansfield is knitted in one piece from one end to the other with an integral lace edging. The pattern is fully written, with a supplementary chart for the lace. The (optional) beaded edging is also easy – a pre-threaded bead is simply pulled up to the knitting needle at the start of each even-numbered row. You will need 600-637 metres (656-697 yards) of 2-ply yarn. I recommend a needle size of 3.75mm/US 5.